Following disengagement from the Gaza Strip in September 2005, Israel unilaterally and illegally established a so-called “buffer zone”, an area prohibited to Palestinians along the land and sea borders of the Gaza Strip. The precise area designated by Israel as a “buffer zone” is not clear and this Israeli policy is typically enforced with live fire. The establishment of the ‘buffer zone’ is illegal under both Israeli and international law. Following the Israeli offensive on the Gaza Strip in November 2012, a ceasefire agreement between Israel and Palestinian armed groups was brokered by the Egyptian government, which included terms related to access to land and sea. In an online statement on 25 February 2013, the Israeli Coordinator of Government Activities in the Territories (COGAT) declared that fishermen could now access the sea up to six nautical miles offshore, and that farmers could now access lands in the border area up to 100 m from the border fence. However, both references have since been removed from the statement. On 21 March 2013, the Israeli authorities announced reducing the fishing area to 3 nautical miles again. This included increasing the land buffer zone up to 300 meters. On 21 May 2013, the Palestinian fishermen were allowed to sail within the 6 nautical miles limit. Following the latest Israeli offensive on the Gaza Strip (08 July – 26 August 2014), a ceasefire agreement between Israel and Palestinian armed groups was brokered by the Egyptian government, which allowed fishermen to sail up to 6 nautical miles. However, the Israeli naval forces have not allowed fishermen to sail up to this limit as all Israeli attacks have taken place within the 6-nautical-mile fishing area. On 07 March 2015, the Israeli naval forces declared via loud speakers that the allowed fishing area reduced to 4 nautical miles and warned Palestinian fishermen from approaching this area along the Gaza Sea. On 01 April 2016, Israeli authorities expanded the fishing area from 6 to 9 nautical miles between the areas from Gaza valley to the southern Gaza Strip. Preventing Palestinians from accessing their lands and fishing areas violates numerous provisions of international human rights law, including the right to work, the right to an adequate standard of living, and the right to the highest attainable standard of health. Enforcing the “buffer zone” through the use of live fire often results in, inter alia, the direct targeting of civilians and/or indiscriminate attacks, both of which constitute war crimes. · In reality, attacks against civilians take place anywhere up to approximately 1.5 kilometres inside the border fence. This constitutes approximately 17% of the total territory of the Gaza Strip. · On 01 April 2016, Israeli authorities expanded the fishing area from 6 to 9 nautical miles between the area from Gaza valley to the southern Gaza Strip. 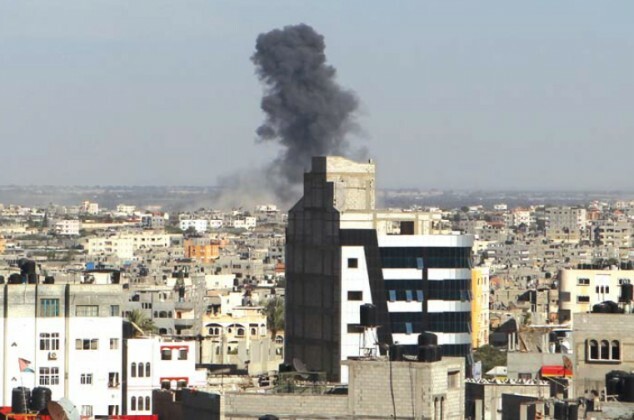 · Approximately 27,000 dunums, 35% of the Gaza Strip’s agricultural land, can only be accessed under high personal risk, as Israeli attacks may result in injury or death of civilians. · 95% of the restricted area is arable land. · Palestinians are completely prevented from accessing 85% of the Palestinian maritime areas recognised in the 1994 Gaza Jericho Agreement. · Approximately 3,700 fishermen work under high personal risk every day at sea. · Approximately 8,200 persons work in the fishing industry. · Approximately 65,000 persons, including individuals who work in the fishing industry and their dependents, are affected by the “buffer zone” restrictions at sea. · The area near the coast is markedly over-fished.